When Is a Revocable Trust Advisable? When Does a Revocable Trust Become Irrevocable? When a grantor creates a trust, the grantor can select either a revocable trust or an irrevocable trust. The grantor has the right to cancel the revocable trust while the grantor is alive, so it is known as a revocable living trust. A revocable trust is advisable if the grantor plans to change the structure of the trust or add or remove assets that the trust contains. The grantor may need to cancel the revocable trust entirely. If the grantor has an unexpected major expense or the value of other investments drop, the grantor can withdraw the money from the trust. The grantor can also withdraw some of the assets inside the trust and add other assets to the trust. A revocable trust provides advantages that a will does not. A grantor who creates a revocable trust transfers the ownership of the assets that the trust covers before the grantor dies, so the heirs do not have to go through probate court. The trust creator should still create a will. According to the University of Florida, a pour-over will is helpful because it transfers any property that the grantor owns to the trust when the grantor dies. A grantor can use a pour-over will and a revocable living trust to avoid estate taxes. According to Ohio State University, no minimum deposit is required to form a revocable living trust. A grantor can place a few dollars in the living trust and use a pour-over will to transfer other assets to the trust when the grantor dies. This strategy allows the grantor's spouse to receive income, such as dividend payments, from the assets in the trust, but the trust is not considered the spouse's property for estate tax purposes. Do Revocable Trusts Have to File a Federal Income Tax Return? The grantor can appoint a trust manager for the revocable trust. 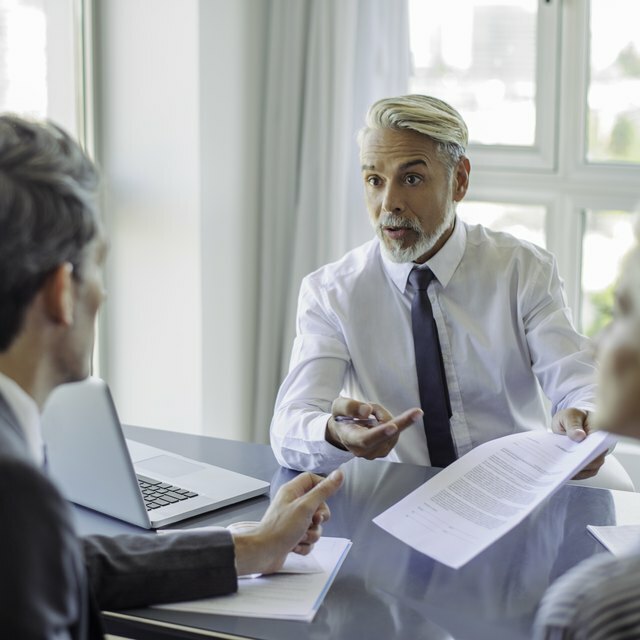 The trust manager can help the grantor manage his investments while the grantor is still alive, and the grantor can place conditions in the trust that control what actions the trust manager is allowed to take. The grantor can also replace the trust manager. A revocable trust can protect heirs' assets from creditors. According to the University of Minnesota, the grantor can create a protective trust structure within the revocable living trust by assigning lifetime trust shares to her children instead of directly assigning assets in the trust. The children of the grantor will receive the income from the protective trust even if creditors successfully sue the estate and win damages. A revocable trust may not be optional. Some state governments prohibit new irrevocable trusts because they shelter income from estate taxes. The state of Minnesota changes all irrevocable trusts a grantor creates after 2005 in the state into revocable trusts.